This game helps develop empathy and compassion while kids have fun! 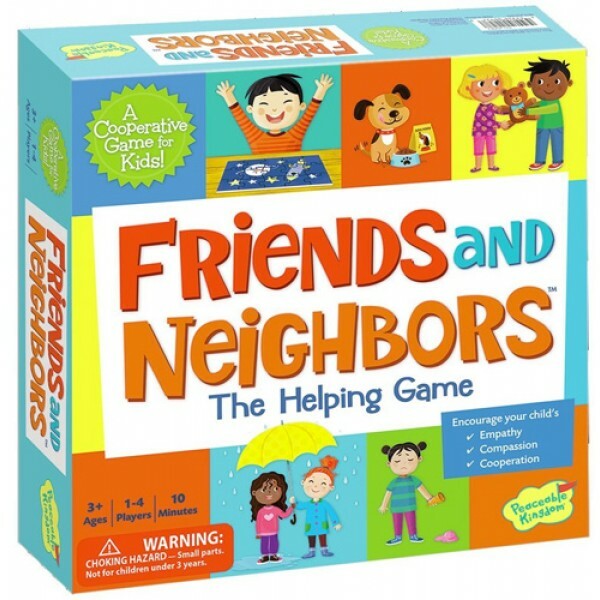 The friends and neighbors in this game have a variety of problems, and to solve them, from a fear of the dark to getting wet in the rain. Reach into the Helping Bag to pull out a token -- can the token help someone on the game board? Kids will have to work together to solve all the problems! By playing the game and learning about the feelings and needs of the characters, parents can help their children recognize feelings in others. 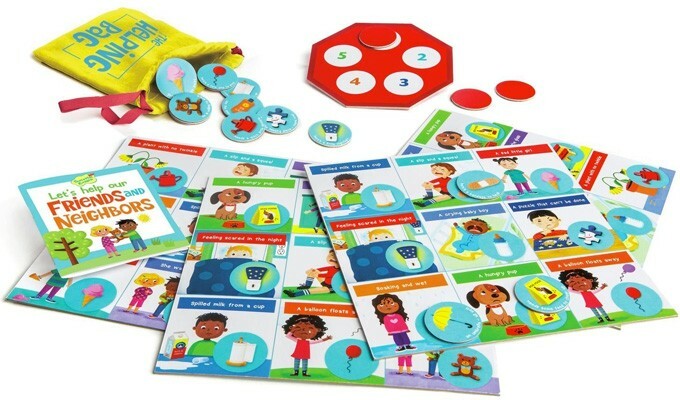 This game includes 4 game boards, 14 tokens, 1 Helping Bag, 1 Stop Sign board, a parent guide and a Friends and Neighbors book. Children will learn how to recognize and name emotions; what it feels like to be a helper; and cooperation and social skills. Parents will love the 100% green construction that uses soy-based inks on FSC certified paper.